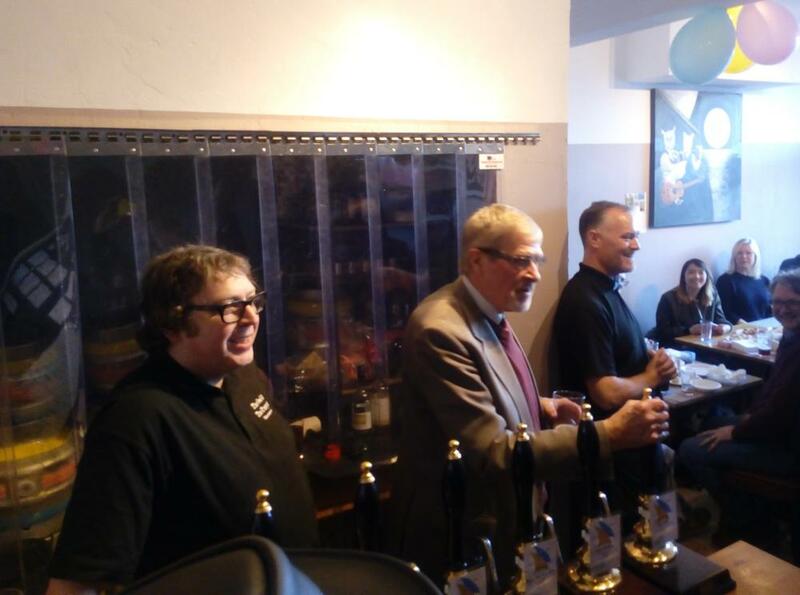 The micropub revolution has reached West London – Ealing, to be precise, where in a week's time the population should have jumped from zero to two. The first one officially opened last Friday: called The Owl and The Pussycat*, it’s not too far from Northfields tube station, and even better, it has its own brewery. The Owl and The Pussycat fits that to a tee. It’s the brainchild of two ex-teachers, Mark Yarnell and Paul Nock, and it took them almost a year to get it off the ground, what with finding premises and a brewing kit, and persuading the local authority to give them planning permission. “I was teaching for 24 years, people said we were crazy, but a year later here we are,” says Paul. Fortunately the local support has been tremendous – as the letter-writing campaign that backed their planning application shows, locals have been fascinated by the project. Indeed, when the pair opened briefly before Christmas to test the waters, they were almost drunk dry and had to bring in emergency supplies from a friendly microbrewery. In the long run they aim to be self-sufficient in beer though, thanks to having their own nanobrewery in the back room, working under the name Marko Paulo. 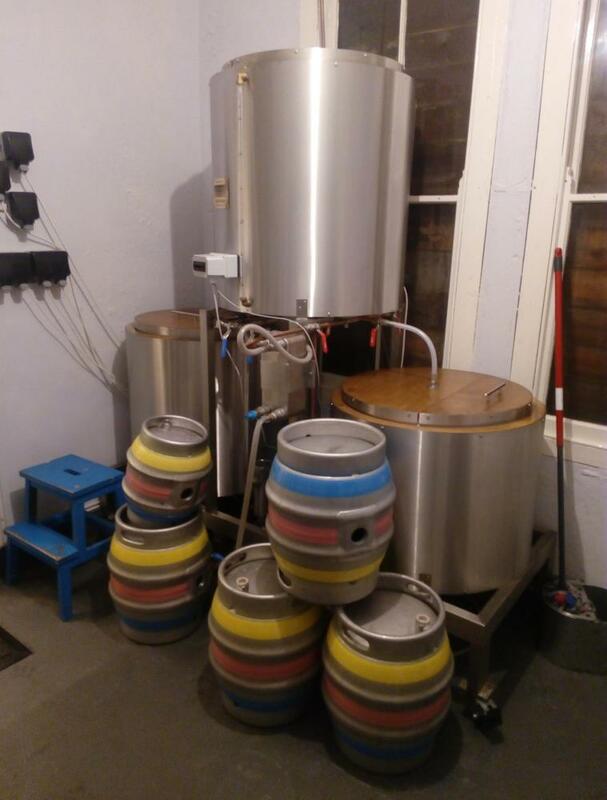 Their UK-made 200-litre brewkit** took London’s tally of breweries to 92, and it allows them to fill five nine-gallon firkins (casks) per brew. Alternatively, they have 40-litre kegs for beers better suited to gas dispense – on my visit that meant an authentic German-style Oktoberfest-Märzen and a West Coast-inspired IPA. Rather unusually, they also have smaller casks: 4.5-gallon pins. 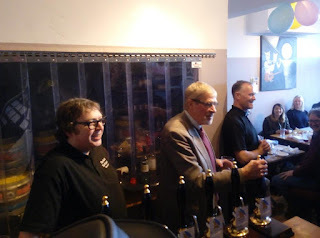 Mark explains that the use of pins allows them to offer a wider range of beers – they have six handpumps and two keg taps, which could easily be a recipe for tired beer if it took too long for a cask to sell out. “Using pins keeps the beer fresh and let’s us keep variety on,” he says. “We are brewing twice a week, and are pretty much at capacity now,” adds Paul. They’re limited not just by only having two fermenters – each brew takes about a week to ferment – but by how many filled casks and kegs they can fit in their cold-store. The plan is to have two core beers, most probably their excellent Coal Porter and a best bitter, plus a rotating range of others. For example, at the opening event, which was kicked of by an entertaining talk on London’s brew history from Good Beer Guide editor and fellow*** beer-writer Roger Protz, we were treated to a mild, two pale ales (one of them ‘single hop and grain’ – I guess that makes for a more entertaining acronym than the more usual ‘single malt and single hop’!) and a hoppy bitter. Mark says they hope to do collaboration brews with local home-brewers, and perhaps run a home-brew club. And they plan to run beer-and-cheese tastings/pairings with their next-door neighbours Cheddar Deli. On top of all that, incredibly the local micropub population is about to double. One of the other guests at The Owl and The Pussycat’s official opening was Lucy, who is due to open her own micropub this coming Saturday. It’s called The Dodo and is in Hanwell, just up the road from Northfields. She’s not planning to brew, instead pouring a wide range of mainly London-brewed beers. *The name comes from the bookshop that formerly occupied the site. **made by Elite of Swindon, I noticed. ***he’s been at it a lot longer than me, mind, and a lot more successfully too! Every time I mention the word "micropub" to someone who has never heard of the word, they assume that it means a pub with a microbrewery. Of course, that's not what it means at all, and the Owl and the Pussycat is atypical in that they brew their own beer, as well as fitting the other criteria assigned to the term. Anyway, good article, and hopefully I will get a chance to visit sometime soon. Yes, it's a bit of an odd term, isn't it? I can understand why the first ones thought a new name was needed, but in many ways they're just the return of the Beerhouses of the mid-1800s, when anyone could buy a licence to sell beer in their front room.